Anna Sui wanted to promote their new cosmetics autumn collection. 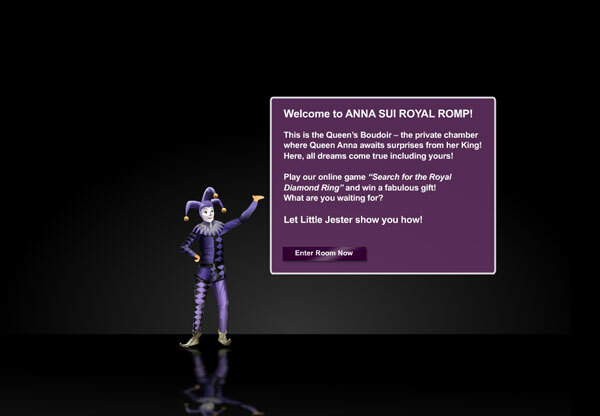 We proposed a prize interactive game "Search for the Royal Diamond Ring": looking for the diamond ring hidden in a beautiful gothic style queen's boudoir with the help of a medieval jester. The highly detailed room and the lively jester were illustrated and animated in house.